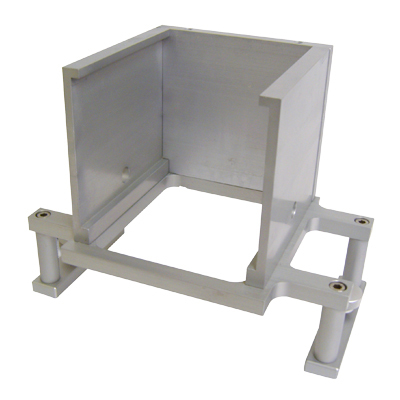 The FTC Large Scale Fixture table is designed to be used to support the the Kramer Shear Cell and all other FTC prefixed fixtures. The heavy duty design of this table allows for forces up to 2500N. 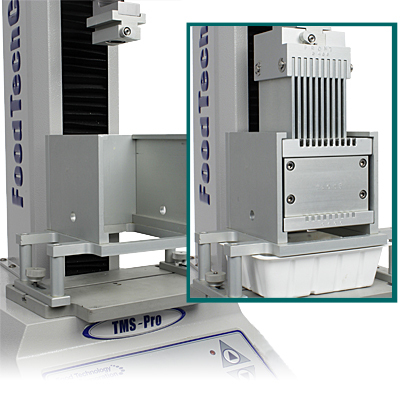 The table is designed to hold the cells in accurate alignment during testing and prevent the automatic cleaning plate from rising up with the blades during the return stroke of the TMS-Pro and Touch units. The table is made from anodized aluminium and fits onto the "T" slot base using the "T" slot screws that are supplied with the base. Heavy Duty test stand for Kramer Shear Cell and other FTC prefix fixtures.